Novel by Wilkie Collins published in 1886, dedicated to William Holman Hunt, treating the related themes of divorce and child-custody. The story was ahead of its time in presenting both the wife and the mistress of an adulterous husband in a sympathetic light and concentrating the reader's attention on the plight of the child involved in the break-up of a marriage. The 'evil genius' of the title is an interfering mother-in-law. Collins unexpectedly upholds double standards in a passage added shortly before publication, claiming that a husband's adultery should not, by itself, be sufficient grounds for divorce, and ends the novel with a reconciliation and remarriage. Collins also used the plot for a dramatic version with the same title. He wrote the book and play simultaneously and traces of his method can be detected in the novel which has an unusually high proportion of dialogue. The play, tauter and in some ways more effective than the book, was never performed, though it was given a single reading for the purpose of establishing dramatic copyright. After a traumatic childhood and youth, Sydney Westerfield is rescued from the drudgery of teaching in her aunt's school by becoming the governess of Kitty, only child of Herbert and Catherine Linley. Herbert and Sydney fall in love and matters are brought to a crisis by the meddling of Mrs Presty, Catherine Linley's mother. Sydney leaves the household but is brought back when Kitty becomes seriously ill, pining for her beloved governess. The situation deteriorates further and Catherine leaves her husband. To avoid custody of the child being given to Herbert, she goes into hiding with her mother and Kitty, obtaining a divorce under Scottish law. Kitty, however, is miserable. She misses her father and her governess - she is told her father is dead - and lacks companions because other children are not allowed to play with the child of divorced parents. Matters are further complicated by the introduction of a friend of Sydney's dead father, Captain Bennydeck, who is searching for her. He falls in love with Catherine but withdraws a proposal of marriage when he learns she is divorced. A somewhat contrived happy ending is brought about when Sydney, tormented by her guilty conscience, leaves Herbert and the Linleys are reunited by Kitty and remarry. Sydney becomes Captain Bennydeck's secretary and the reader is left with the expectation that they will marry. First published in the Leigh Journal and Times, 11 December 1885--30 April 1886; the Bolton Weekly Journal (12 December 1885--1 May 1886) and several other Tillotson syndicated newspapers. 3 volumes, Chatto & Windus, London 1886. 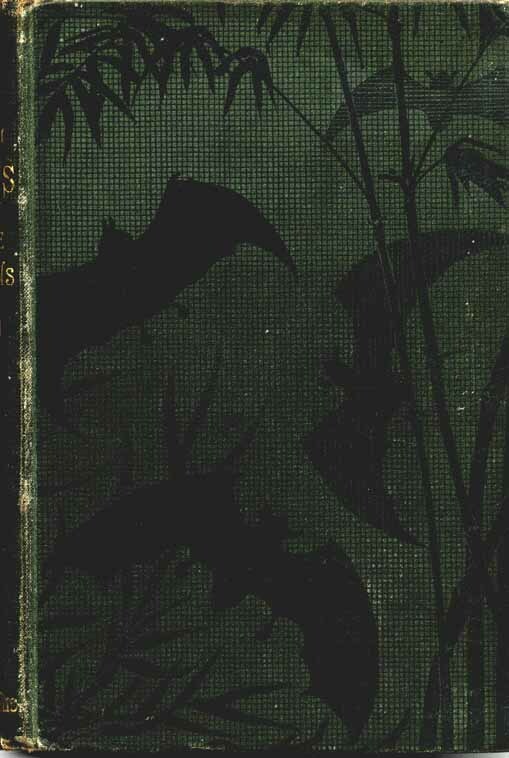 Dark green cloth, front covers blocked in black, spines lettered in gilt, grey and white floral end-papers. Half-title in each volume. Published between 1 and 15 September 1886. Vol. III vi + 266 pp. 32 pp publishers' catalogue dated May 1886 bound in at end. The Prologue was published separately with the same title, Bolton , 24 pp, buff paper wrappers. Chatto & Windus 1887-1899. Broadview Press, Ontario, 1994 (critical edition, edited by G. Law); Sutton, Stroud 1995. Harper's Handy Series, (no 72) New York 1886 (first book publication); Donnelly's Lakeside Edition, Chicago 1886; Lovell's Library (vol 14, no 722), New York 1886; Seaside Library (vol 102, no 2069), New York 1886. German, Berlin 1887; Russian, 1887.